For November only, PocketFivers in New Jersey can win one of three $535 World Poker Tour Five Diamond super satellite tickets simply by playing tournaments on playMGMpoker.com. Players can earn leaderboard points by cashing in tournaments on PlayMGMpoker.com throughout the month of November. Points are awarded based on the PocketFives.com Leaderboard Formula and only results from PlayMGMPoker count towards the leaderboard. Points are earned only AFTER players opt in to the leaderboard. The three players who earn the most leaderboard points during this time will each win a $535 WPT Five Diamond Super Satellite ticket good for entry to the December 3 Super Satellite. That Super Satellite awards one $12,000 WPT Five Diamond package, including $10,400 buy-in and $1,600 travel, for every 24 players entered and at least one seat is guaranteed. This is the first time that New Jersey players have been able to qualify for a Las Vegas WPT event. 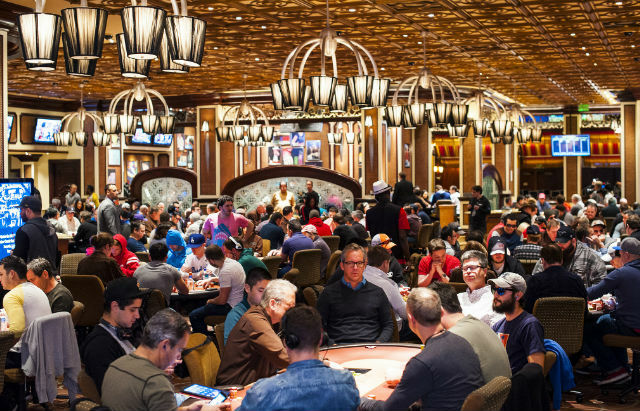 One of the most prestigious WPT events on the schedule, the Five Diamond Poker Classic, which has a $10,400 buy-in, is set to take place December 5-10 at the Bellagio Resort and Casino. “We are thrilled with the opportunity to extend this to a national offering, with playMGMpoker sponsoring our online satellite program into the WPT Bellagio Five Diamond Poker Classic; allowing for participants in New Jersey to compete amongst the best players at an MGM Resorts Destination in Las Vegas,” said Ray Stefanelli, Executive Director of Online Gaming for playMGMpoker. Players who finish 4th – 10th on the leaderboard each receive a PocketFives hooded sweatshirt. To be eligible for this promotion you must have your PlayMGMpoker screen name listed on your PocketFives.com profile. Click here to do that (be sure to select “PlayMGM” from the list of sites). Once you’ve done that, make sure you visit the PlayMGMpoker WPT Five Diamond Leaderboard and click the green OPT IN button.